Esoko is a technology company powering Africa’s digital revolution. The company develops simple and powerful mobile tools to empower organizations seeking to provide critical services to the last mile. Esoko is on a mission to increase incomes for Africa’s rural populations through digital and financial inclusion. Their first project enabled the delivery of market prices via SMS, and in addition, Esoko set up a call center to support local languages and address issues with literacy. Over time, the company realized that farmers needed much more than price information, and so it added weather alerts, crop advice, and connections to customers. Such services improved incomes for farmers by roughly 10 percent. Esoko then leveraged its technical platform and field team to collect information with smartphones and tablets. This technology became the backbone of many large-scale social protection programs. Organizations across Africa now use Esoko’s Digital Farmer Services, and in 2018, the company won four awards including the Chamber of Agribusiness Award for Outstanding Innovation in Agribusiness Technology. 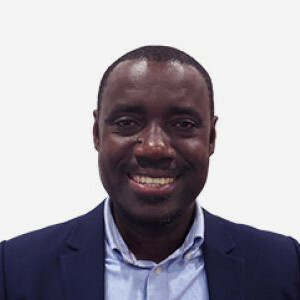 Daniel Asare-Kyei (Chief Executive Officer at Esoko) has been an Unreasonable Fellow since March 2019 after participating in Unreasonable FUTURE 2019. Follow Esoko on social media below.